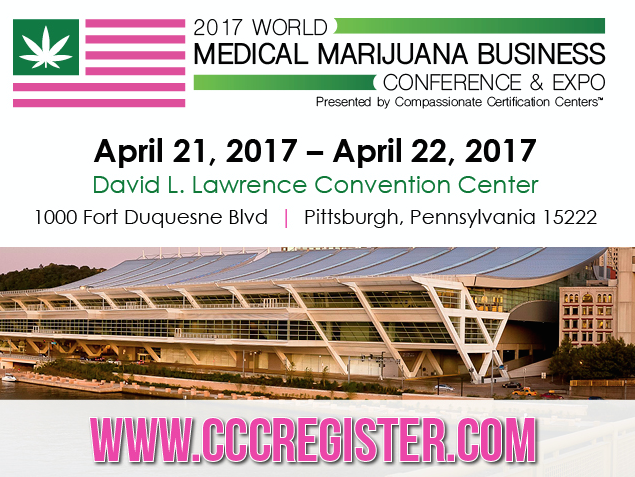 World Medical Marijuana Conference hosted at the David L Lawrence Convention Center by Compassionate Certification Center's. This expo is for patients, investors, physicians, vendors with a full day of speaking and a kickoff cocktail event on Friday April 21! Anyone interested in attending the first of many expo's to come should buy tickets in advance. They are available for purchase on our website at www.cccregister.com. Roll out the red carpet and attend our VIP ONLY event on Friday, April 21 for free drinks, appetizers, and live entertainment! Get a chance to meet and network with our sponsors, leading medical marijuana educators, businesses, and associations. Also, don’t miss your chance for a meet and greet with former NFL star, Ricky Williams, and other featured guest speakers! We continue Saturday with a full day of events, including a medical education conference, educational seminars, panel discussions, and various business opportunities. We will also be featuring over 200 medical marijuana based businesses/companies with display booths from all over the USA and the world. Ticket prices vary. Please check out our website at www.cccregister.com for more information.